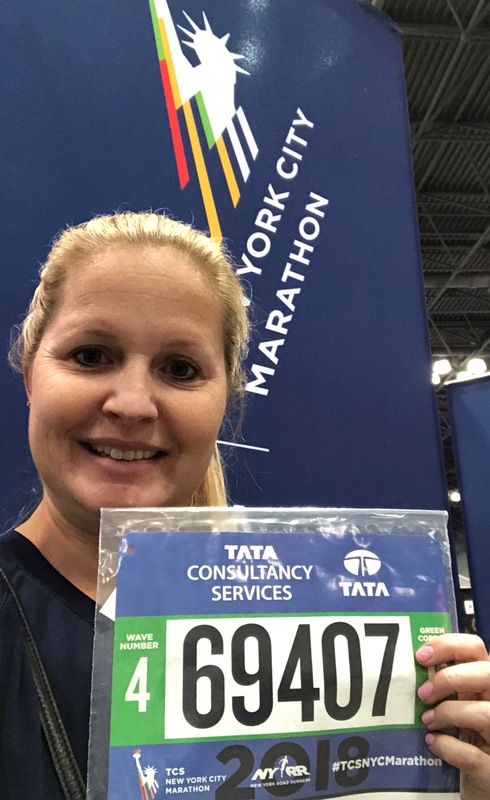 Track Shack - If you're Running The TCS NYC Marathon, Start Training Now! Congratulations on your NYC Lottery win! To have the running experience of a lifetime begin your conditioning now! Completing a marathon is a huge accomplishment and is something you will remember for a lifetime. An anonymous runner once said, "There will be days I don't know if I can run a Marathon. But there will be a lifetime of knowing that I have". As most things in life, something with such huge reward is not without risk. The benefits of regular running are many and most of us are well aware of the health benefits, but, what is the risk? Specifically, I'm referring to the risk of injury. Doing too much too soon takes out too many runners each training cycle with injuries like shin splints, iliotibial band syndrome, plantar fasciitis, or knee pain, just to name a few. Sad to say, that most of these injuries could have been avoided with proper conditioning and progression. We cannot get into shape overnight or even within a few weeks. The conditioning process takes time and that is something we, as a culture of immediate gratification, are not accustomed to embracing! Reduce your risk of injury by allowing yourself time to lay a solid running foundation before increasing mileage to the double digits of long distance training. Most experts believe it takes a minimum of six to eight weeks to condition our heart, lungs, muscles, bones, ligaments, and tendons to withstand marathon training. We even need to condition our energy systems so they can supply us with the fuel we need to keep moving. Who knew all that was involved? If you are not running regularly now, I encourage you to start your conditioning process NOW! Plan on six to ten weeks of conditioning BEFORE your "official" marathon training plan even begins. If you are interested in group training consider joining one of our programs that begins in March. Anyone not currently running should consider joining our upcoming Zero To Fit program. If you are already doing some running consider joining our upcoming Five & Dime program. Both of these programs are 10 weeks in length and will help prepare you for the rigors of marathon training to come. Looking ahead, MarathonFest and Galloway, our full and half marathon training programs will start in early June. Both of these programs will target the NYC Marathon. Updated information and online registration for both of these programs will be up on our website very soon! A 10-week, group-coached program for adults ready to improve their overall fitness through running and walking. The group meets twice a week in Orlando and Lake Mary. Orlando Morning/Daytime/Evening: Next session begins on March 25th. We offer classes at 5am, 10am, and 6pm on Mondays and Wednesdays. Lake Mary: Next session begins on March 26th. This class meets at 6pm on Tuesday and Thursday. Both of these group training programs are 10 weeks in length (March through May) and will help prepare you for the rigors of fall marathon training. Track Shack's marathon training programs, Orlando Galloway and MarathonFest, begin in early June so get ready! Do you run solo or enjoy the benefits of group training? Share your experience below! Also, shout out if you’ve ever run the New York City Marathon or are going in 2019!